Internet-enabled TVs are a big deal these days, with sets allowing users to do everything from watching YouTube videos and access weather information to listen to music from Pandora. The applications are so cool that you might just be pounding your head against the wall if you bought an HDTV without Internet capability a few years ago. There’s no reason to get stressed, though. Internet-enabled TVs still demand relatively high prices and, for the amount of money you would have spent on one, you can add equipment to your current set that will allow you to do many of the same things. There are several options for adding internet capabilities to your TV. Internet-enabled televisions are developed by a variety of manufacturers including, but not limited to, LG, Samsung, Panasonic, Sony, and Vizio. If you like movies and you want to get the most from your HDTV, a Blu-ray player is a necessity, and many of today’s units access Internet content, including YouTube videos, movies from Netflix and music from Pandora. Internet-equipped Blu-ray players don’t usually let you access as much online content as an Internet-enabled TV, but they do include some of the most popular Web widgets, and they sell for as little as $150. Most popular video game systems connect to the Internet, and they allow access to a variety of online content. The PlayStation 4 is our favorite from this standpoint. It allows you to download and stream pay-per-view movies and TV shows as well as content from Netflix. It also has a full Web browser that can take you to all your favorite sites. The Xbox One also allows Netflix streaming. As with most Internet-enabled home theater units (including TVs) video game systems can’t access everything on the Web, but they’re really good at bringing a number of the most popular functions to your flat screen. You can buy a number of standalone boxes that will stream Web content to your TV. ​Roku boxes are among the most popular, and they can stream movies from several sources, play music from Pandora, showcase photos from Flickr and more. Heck, NBC even has a Roku app to let you live-stream the Olympics every two years. Other standalone units that people find appealing are Apple TV and the VUDU Box. Each of these devices offers a variety of Internet-enabled functions. There are other standalone boxes available as well, and this is a market segment that we expect to grow. Ask what’s available at your local electronics store and they’ll be able to show you all the options they have available. It’s easy to connect a laptop or PC to a modern television, essentially turning your flat screen into a huge computer monitor. This isn’t the solution most people will opt for, but it may be right if your insistent on bringing all that the Web has to offer to your big screen. While Internet-enabled set-top boxes and Blu-ray players limit the Web content that can be streamed to a TV, a computer – particularly a Media Center PC – can do it all. Unless you choose to connect a computer to your TV, the device you buy will have limitations. Be sure the one you purchase can do everything you need it to. For instance, Netflix subscribers won’t want a unit that can’t stream video from that subscription service. Most devices that stream Web content to TVs can handle high-definition video, but not all of them. If you have an HDTV, you’ll want a unit that can stream video at 720p, 1080i or 1080p. If you buy a unit that can only handle standard-definition video, you will probably be disappointed. All Internet-enabled video devices require a high-speed Internet connection. That means you’ll need a way to connect the unit to your home network. Some devices require a wired Ethernet connection. Others have Wi-Fi built in. Before you buy, you should have a good idea of how you plan to connect your system to the Web. That way you’ll avoid the frustration of connecting it to your TV only to discover that you can’t get online. 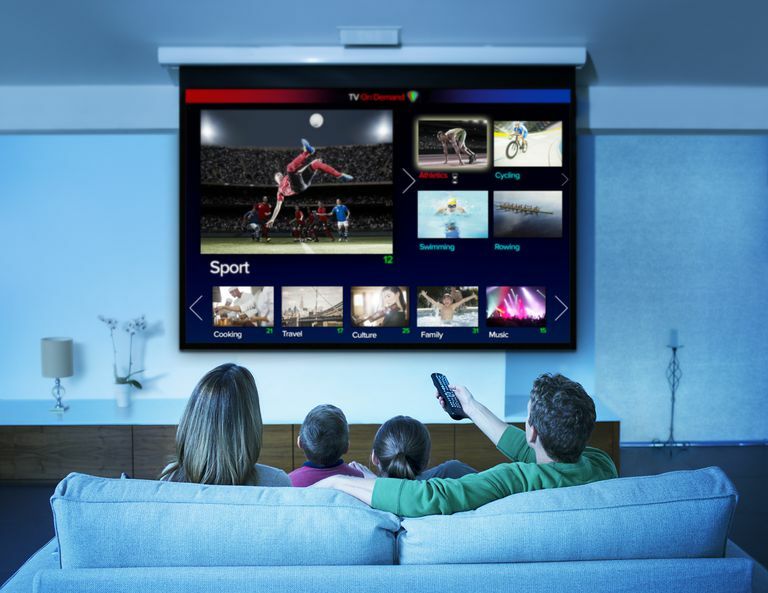 4 Things to Consider Pre-Purchase If You Want an Internet-Enabled TV?